Neuer Reinrassiger F3C Wettbewerbs-Hubschrauber welcher in enger Zusammenarbeit mit Vizeweltmeister 2015, Europameister sowie Weltmeister 2013 im F3C - Ennio Graber - entwickelt und designt wurde! - The Kit will be available in 3-blades version, RED Color Design. The standard Goblin Urukay is a mixing between a 3D model and F3C model. The project is optimized for Sport flight, for all pilots who are looking for a mixing of the two styles of flight. For F3C competition, SAB decided to develop some changes that move the Urukay model to F3C use. 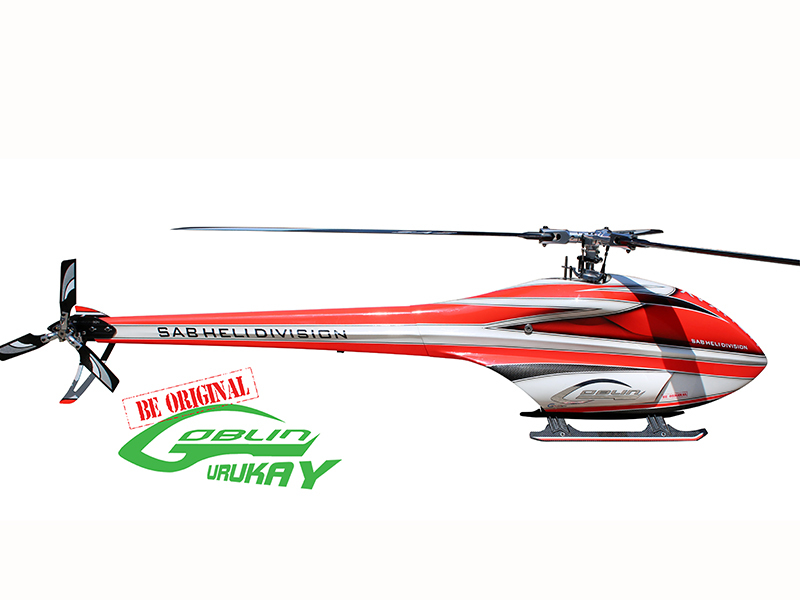 With this new Goblin Urukay Competition, the key feature is new fuselage which is made into two parts with quick and easy connection, but with a flight line optimized for the maneuver of competitions. 4 pilots reached the final in the 2015 World Championship with Goblin Urukay Competition and Ennio Graber took second overall place.